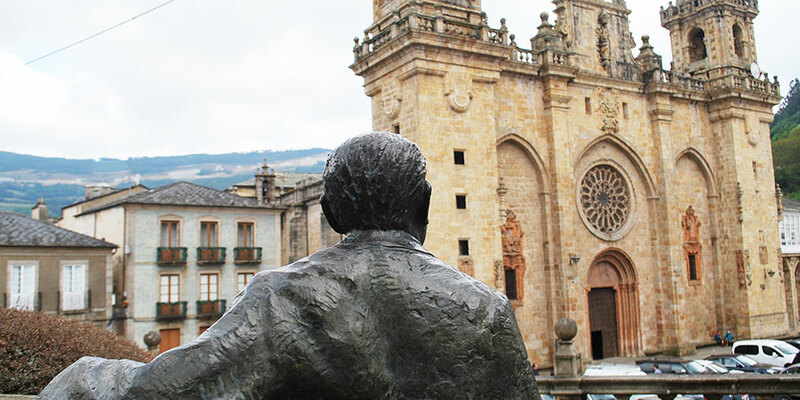 Wandering the streets of Mondoñedo, on the Camino del Norte in Galicia, pilgrims quickly feel the elegant grandeur of this little country town which once was one of the seven capitals of the ancient Kingdom of Galicia. The Cathedral Basilica of Mondoñedo is an absolute must-see for every pilgrim on the route. Get your pilgrim passport ready and get it stamped at this national monument originally built in the 13th century. 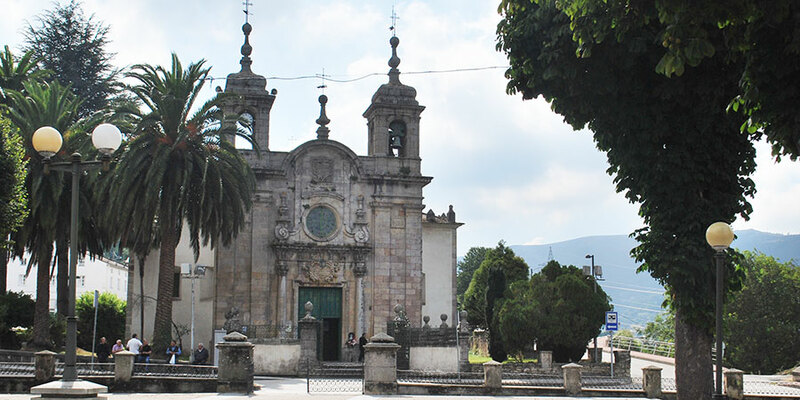 Elements such as the baroque facade from the 18th century, were later added to its original romanesque structure like other important cathedrals across Galicia, including Santiago, but the building preserves its medieval feel. Mondoñedo Cathedral is a UNESCO listed heritage site, as part of the Camino del Norte route since 2015 and it is open to visitors every day. 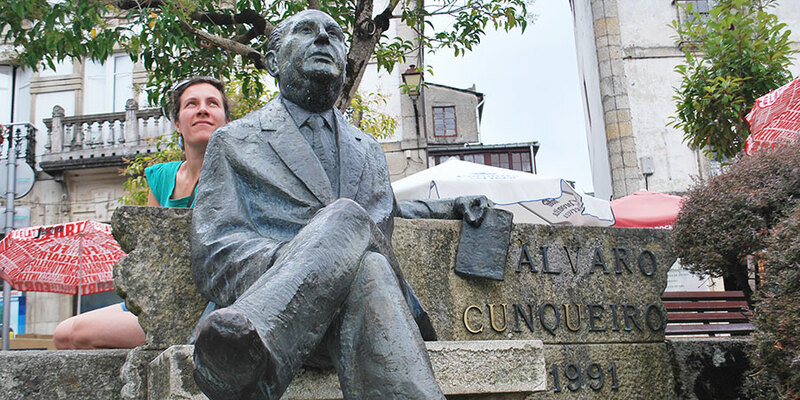 Mondoñedo is the home place of one of Galicia’s greatest authors, Alvaro Cunqueiro. You’ll meet him (his life size statue at least!) peacefully admiring the town’s cathedral. For those interested in learning about his life and work, the Home-Museum Alvaro Cunqueiro is a must-visit. Opened in 2019, the Home-Museum Alvaro Cunqueiro is located at Praza da Catedral 14, where the author lived and wrote some of his most famous works of literature. The museum is open Tuesday to Sunday. He was a multifaceted artist, writing both in Galego and Spanish and not only poetry, theatre and fiction but also one of the first cookbooks gathering Galicia’s most traditional delights: A Cocina Galega (Galician Cuisine) back in 1973. Like many towns across Galicia, Mondoñedo is home to many festivals and fairs throughout the year. These ‘festas’ are an anticipated highlight in the local calendar and a wonderful way for visitors to experience the town’s most special festivities and traditions. One of the most traditional fairs in Galicia takes place in the town each 18th October, known as ‘A San Lucas’. It is believed this country fair dates back to the 13th century and is as old as the cathedral. Today, it still preserves its traditional elements such as the cattle market as well as music and dancing. Two other popular festivities in town are ‘Os Remedios’ taking place on the first Sunday after 8th September at the Remedios Chapel and Park; the Medieval Market in August and the Rapa das Bestas, where wild horses are marked before being returned to the mountains to roam free for another year. Did you know Mondoñedo used to have its very own king? The self-proclaimed King of Tarts, O Rei das Tartas, made the local Mondoñedo tart his signature dish and introduced it to many celebrities across Spain and abroad. The King’s son is now in charge of keeping the tart making business going and you can find their shop in Rua de Guevara. You shouldn’t leave town without at least trying the classic Tarta de Mondoñedo, definitely fit for a king. 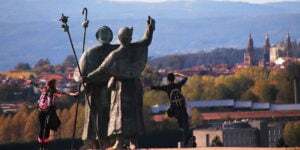 If you’d like to learn more about the Camino del Norte, Mondoñedo also has a small museum dedicated to the history of this Camino trail: Centro de Interpretación do Camiño Norte.